Total new gTLDs (ngTLDs) domain name registrations were approximately 21.8 million at the end of the second quarter of 2018, an increase of approximately 1.6 million domain name registrations, or 7.9 percent, compared to the first quarter of 2018. ngTLDs decreased by approximately 2.5 million domain name registrations, or 10.4 percent, year over year. 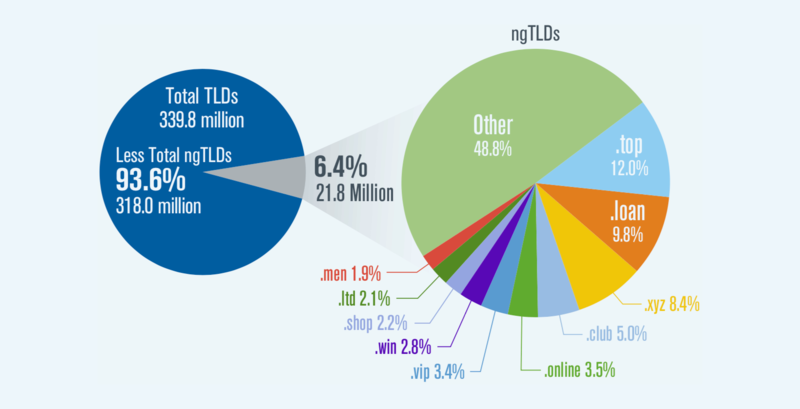 The top 10 ngTLDs represented 51.2 percent of all ngTLD domain name registrations. The following chart shows ngTLD domain name registrations as a percentage of overall TLD domain name registrations, of which they represent 6.4 percent, as well as the top 10 ngTLDs as a percentage of all ngTLD domain name registrations for the second quarter of 2018. 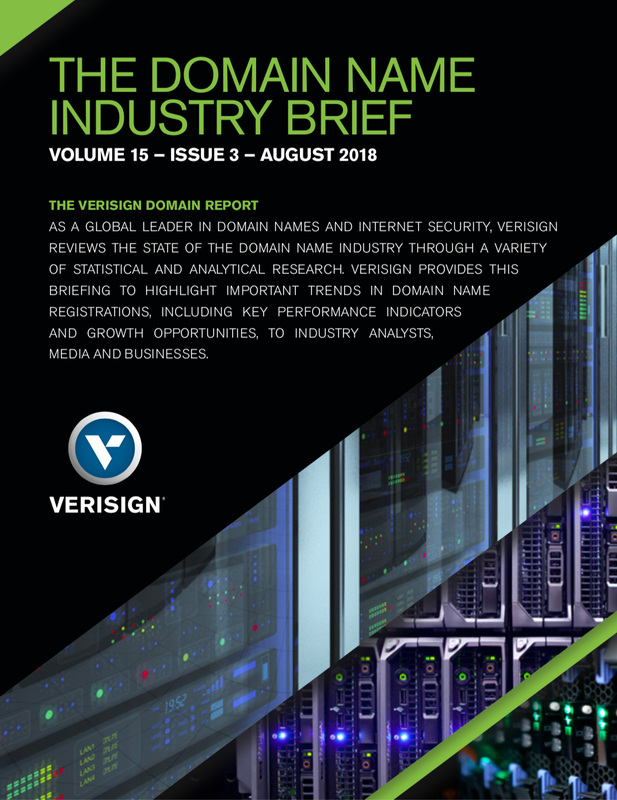 For more domain stats from the second quarter of 2018, check out the latest issue of the Domain Name Industry Brief.